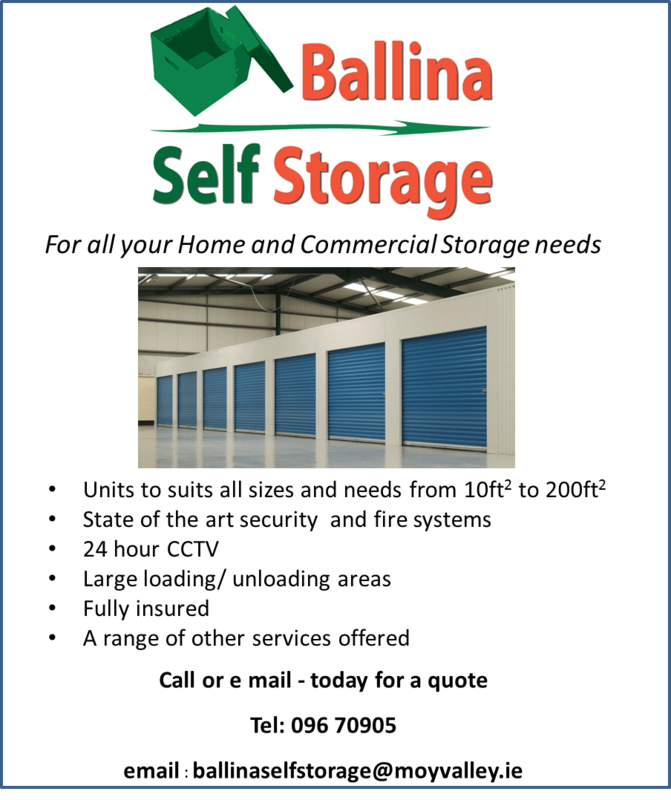 Moy Valley Resources offers secure, purpose-built, lock-up self storage facilities for a range of uses at Greenhills Enterprise Centre, Ballina. Domestic storage – Ideal when you are in the process of moving house, re-decorating or extending your home, or if you are keen to make better use of space you have. Business storage – Excess stock, furniture and general office clutter, sales rep samples and merchandise material. Archive storage – Perfect if your archives and files are taking over your office and you need a place for some secure off-site archive storage.